Migrating BI and analytics platforms to the cloud offers tremendous upside for many enterprises. BI in the cloud can provide greater flexibility and scalability, particularly for organizations seeking to offer more self-service capabilities to their citizen data scientists. However, the process of transitioning BI from legacy on-premises systems to the cloud isn't always as simple -- or as much of a money-saver -- as many vendors might make it seem. Organizations planning their migration paths must chart them out carefully, lest they run into unexpected migration costs, hidden costs of running analytics in the cloud over time and other unforeseen pitfalls. When it comes to BI in the cloud, there is no one-size-fits-all service payment model. Buyers need to educate themselves fully on the details of how data is managed and metered and on what kind of storage or usage measurements their cloud service bills are based. "For instance, some cloud providers charge a flat subscription fee, while others price services according to storage or use," said Lyndsay Wise, director of market intelligence at Information Builders, a BI services provider. "All of these subscription models have potential cost implications that need to be taken into account." Organizations need to pay particular attention to how a cloud analytics platform reads data from internal businesses systems and what that means for pricing, said Rusty Frioux, director of the data and analytics practice at IT consultancy and service management company Sparkhound. Know how much data you plan to move and store, then plan accordingly. "Some platforms ingest and cache data; others query it when users need it. Data platforms that don't charge for storage often charge for data movement and vice versa," Frioux said. "Know how much data you plan to move and store, then plan accordingly." This might be a new concept for business analysts and other users who are accustomed to on-premises systems, he said. "Users who only work on premises are typically not used to being charged incrementally for data storage and computing time," he said. "Make sure to educate your user base on how you are charged for both, then give them the tools they need to monitor both." As organizations plan out the cloud architecture that will accommodate their migration to BI in the cloud, hidden costs often lurk most at integration points. 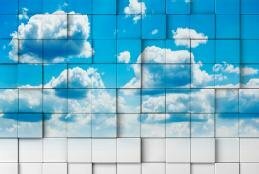 "Cloud analytics providers offer comprehensive monthly service costs, including prebuilt connectors to common business applications, like Salesforce, NetSuite and Microsoft CRM," Frioux said. "In some cases, however, those data connectors are incomplete, and you could incur large service charges to build data connections that fit the way you use those systems. Going with a more flexible platform and building your data flows might be a better option." TechTarget's 2019 IT Priorities Survey found that more than a quarter of 231 respondents plan to move BI and analytics to the cloud this year. In that same vein, though, organizations need to beware of costly pitfalls that can arise from those flows -- especially if they're going with a hybrid cloud model with a mix of on-premises and cloud infrastructure. For example, Jim Meehan, head of product marketing at Kentik, a network analytics provider, warned that organizations could see higher costs from traffic hairpinning, which happens when services that should communicate over short, fast and cheap network paths actually communicate over long paths with lots of latency. "As an example, imagine a service chain consisting of a web front end, application server and database back end. A DevOps team has migrated the application server to the cloud, but the web front end and database are still in the legacy data center," Meehan said. "Now, every web request results in a chain of calls that traverse cloud interconnects twice, again resulting in poor performance and cost exposure." As organizations plan how the entire BI ecosystem will work once some or all of it is migrated to the cloud, it's crucial to plan comprehensively. When the right hand doesn't know what the left is doing, there's a big risk of paying twice for the same BI in the cloud service. "Duplicate services and unknown dependencies happen most commonly when multiple, siloed teams jump into the cloud without much thought to shared architecture," Meehan said. "As an example, team A sets up a DNS [domain name system] service for their apps. Not knowing about team A's DNS service, team B creates a duplicate DNS service for their own app. Now, their organization is paying twice for instances that could easily be collapsed into shared infrastructure." As organizations move data off internal systems and segue to BI in the cloud, they must come to grips with the security and privacy compliance implications that come with entrusting third parties with these assets. "With cloud-based solutions, organizations need to be aware of several factors. These include understanding the implications associated with global security and data privacy requirements that take the form of a host of certifications and compliance programs," Wise said. "Understanding the dynamic data landscape in light of GDPR and other recent developments is crucial for a successful cloud migration and can have strong ramifications if not taken seriously." One need only look at the recent GDPR fines being handed down as proof that these privacy regulations are increasingly coming with teeth -- a mistake here could be costly. Finally, to keep costs down for the actual migration to BI in the cloud, remember that it might not be necessary to migrate every report in the old on-premises systems. This is a good chance to optimize, so think carefully about what the organization needs, rather than simply basing migration plans on what it already has. "Take a hard look at what reporting tools and data sets you wish to move, and make decisions based on both current operational value and potential to drive innovation," Frioux said. "Most of all, manage your migration like any other IT project. Do a full assessment of what you intend to migrate, how long it will take to do so, and make decisions on what to move based on cost and value to the organization. Assign a project manager to monitor the progress, and use your governance tools to track progress and, ultimately, usage." What are your tips for migrating BI and analytics to the cloud? More organizations are looking to run BI and analytics applications in the cloud. This handbook offers insights into moving on-premises BI systems to cloud environments. When migrating BI and data analytics to the cloud, factor existing analytics processes, software evaluation, data protection and cost controls into a thoughtful plan of action. More organizations plan to use cloud-based BI and analytics and focus on data governance and predictive analytics, TechTarget's 2019 IT Priorities Survey found.